These 60-tonne yellow trucks are a familiar sight around Pakistan’s largest open pit mine in the Thar desert. Usually driven by men, now the region’s women are eyeing a road out of poverty by snapping up truck-driving jobs. 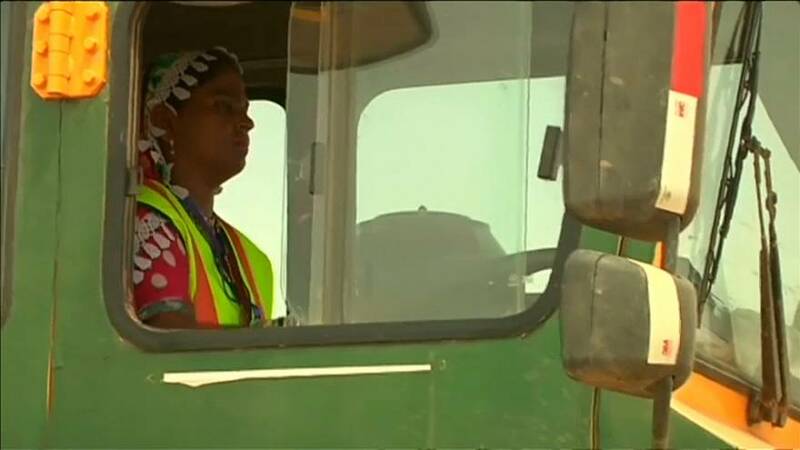 She is among 30 local women being trained to be truck drivers by a Pakistani firm digging up low-grade coal under the rolling Thar sand dunes. She says some people have found the idea of female truck drivers confusing. “My husband said, ‘who will drive the car?’ I said to my husband, I will drive the car, he questioned how is that possible? I said by the Grace of God I will drive the car,” she explains. But for women aspiring for such jobs, the obstacles include cultural barriers in a society where women are restricted to mainly working the fields and cooking and cleaning for the family. Gulaban, however, has a head start on her fellow trainees. She already knew how to drive a car and she has the support of her husband.